The Consumer Electronics Show has been in full swing for two days now, and already the top spots for most impressive technology of the year has been selected. Granted, opinion is divided, and there are many top contenders, but between displays, gaming, smartphones, and personal devices, there’s been no shortage of technologies to choose from. 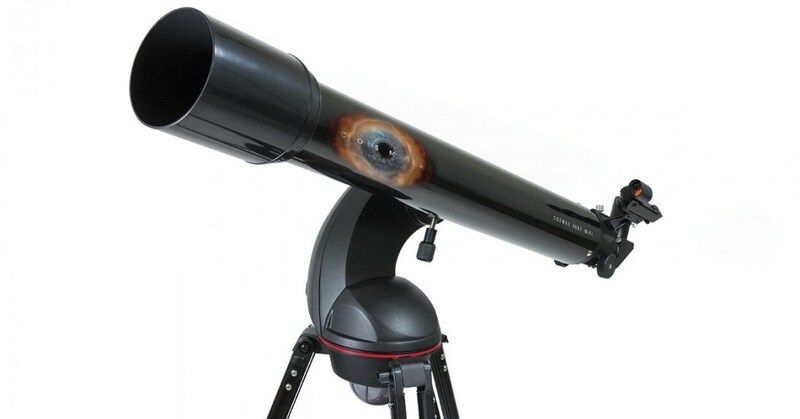 As an astronomy enthusiast, and someone who enjoys hearing about new and innovative technologies, Celestron’s Cosmos 90GT WiFi Telescope was quite the story. Hoping to make astronomy more accessible to the masses, this new telescope is the first that can be controlled by an app over WiFi. Once paired, the system guides stargazers through the cosmos as directions flow from the app to the motorized scope base. In terms of comuting, Lenovo chose to breathe some new life into the oft-declared dying industry of desktop PCs this year, thanks to the unveiling of their Horizon 2. Its 27-inch touchscreen can go fully horizontal, becoming both a gaming and media table. 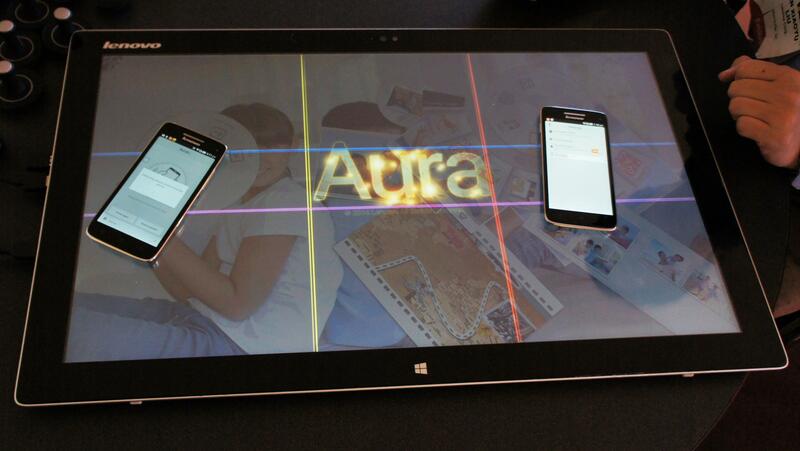 The large touch display has a novel pairing technique that lets you drop multiple smartphones directly onto the screen, as well as group, share, and edit photos from them. Next up is the latest set of display glasses to the world by storm, courtesy of the Epson Smart Glass project. Ever since Google Glass was unveiled in 2012, other electronics and IT companies have been racing to produce a similar product, one that can make heads-up display tech, WiFi connectivity, internet browsing, and augmented reality portable and wearable. 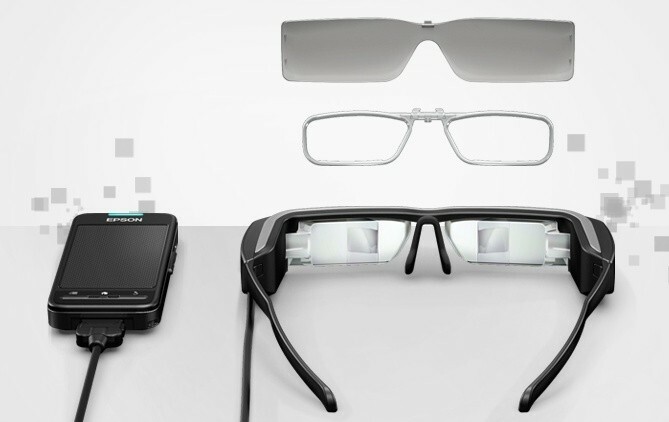 Epson was already moving in that direction back in 2011 when they released their BT100 augmented reality glasses. And now, with their Moverio BT200, they’ve clearly stepped up their game. In addition to being 60 percent lighter than the previous generation, the system has two parts – consisting of a pair of glasses and a control unit. The glasses feature a tiny LCD-based projection lens system and optical light guide which project digital content onto a transparent virtual display (960 x 540 resolution) and has a camera for video and stills capture, or AR marker detection. With the incorporation of third-party software, and taking advantage of the internal gyroscope and compass, a user can even create 360 degree panoramic environments. At the other end, the handheld controller runs on Android 4.0, has a textured touchpad control surface, built-in Wi-Fi connectivity for video content streaming, and up to six hours of battery life. The BT-200 smart glasses are currently being demonstrated at Epson’s CES booth, where visitors can experience a table-top virtual fighting game with AR characters, a medical imaging system that allows wearers to see through a person’s skin, and an AR assistance app to help perform unfamiliar tasks . This year’s CES also featured a ridiculous amount of curved screens. Samsung seemed particularly proud of its garish, curved LCD TV’s, and even booked headliners like Mark Cuban and Michael Bay to promote them. In the latter case, this didn’t go so well. 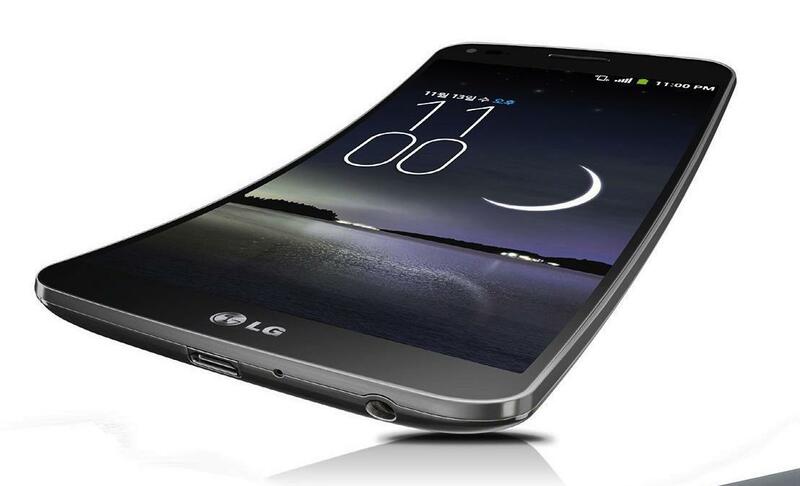 However, one curved screen device actually seemed appropriate – the LG G Flex 6-inch smartphone. When it comes to massive curved screens, only one person can benefit from the sweet spot of the display – that focal point in the center where they feel enveloped. But in the case of the LG G Flex-6, the subtle bend in the screen allows for less light intrusion from the sides, and it distorts your own reflection just enough to obscure any distracting glare. Granted, its not exactly the flexible tech I was hoping to see, but its something! In the world of gaming, two contributions made a rather big splash this year. These included the Playstation Now, a game streaming service just unveiled by Sony that lets gamers instantly play their games from a PS3, PS4, or PS Vita without downloading and always in the most updated version. Plus, it gives users the ability to rent titles they’re interested in, rather than buying the full copy. 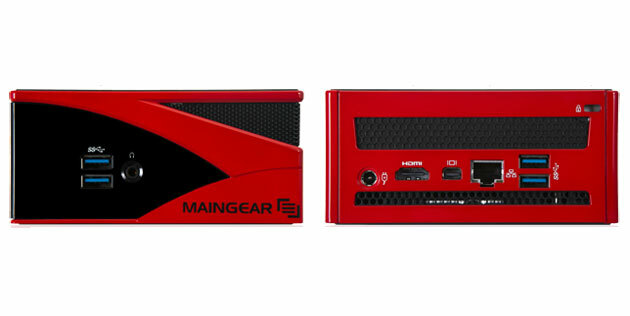 Then there was the Maingear Spark, a gaming desktop designed to run Valve’s gaming-centric SteamOS (and Windows) that measures just five inches square and weighs less than a pound. This is a big boon for gamers who usually have to deal gaming desktops that are bulky, heavy, and don’t fit well on an entertainment stand next to other gaming devices, an HD box, and anything else you might have there. Next up, there is a device that helps consumers navigate the complex world of iris identification that is becoming all the rage. 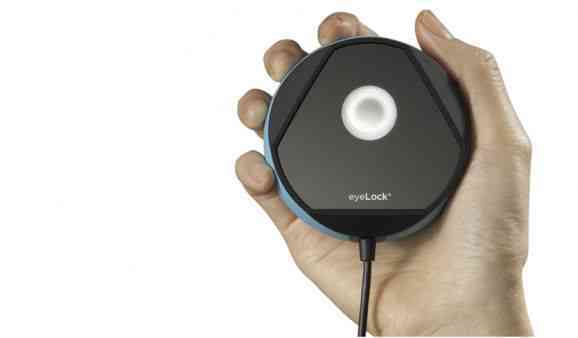 It’s known as the Myris Eyelock, a simple, straightforward gadget that takes a quick video of your eyeball, has you log in to your various accounts, and then automatically signs you in, without you ever having to type in your password. So basically, you can utilize this new biometric ID system by having your retinal scan on your person wherever you go. And then, rather than go through the process of remembering multiple (and no doubt, complicated passwords, as identity theft is becoming increasingly problematic), you can upload a marker that leaves no doubt as to your identity. And at less than $300, it’s an affordable option, too. And what would an electronics show be without showcasing a little drone technology? And the Parrot MiniDrone was this year’s crowd pleaser: a palm-sized, camera-equipped, remotely-piloted quad-rotor. However, this model has the added feature of two six-inch wheels, which affords it the ability to zip across floors, climb walls, and even move across ceilings! A truly versatile personal drone. 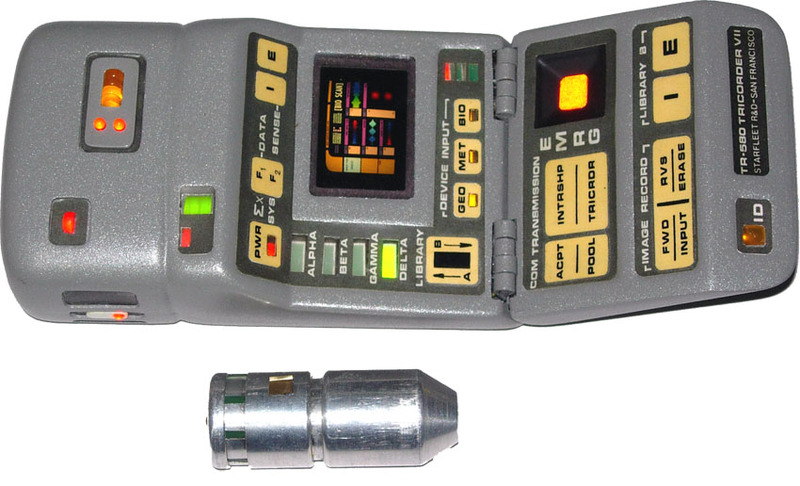 Another very interesting display this year was the Scanadu Scout, the world’s first real-life tricorder. First unveiled back in May of 2013, the Scout represents the culmination of years of work by the NASA Ames Research Center to produce the world’s first, non-invasive medical scanner. And this year, they chose to showcase it at CES and let people test it out on themselves and each other. All told, the Scanadu Scout can measure a person’s vital signs – including their heart rate, blood pressure, temperature – without ever touching them. All that’s needed is to place the scanner above your skin, wait a moment, and voila! Instant vitals. The sensor will begin a pilot program with 10,000 users this spring, the first key step toward FDA approval. 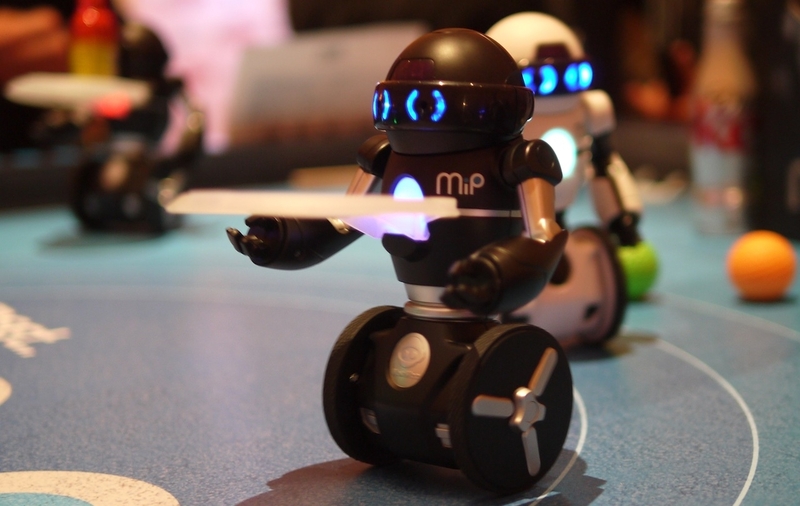 And of course, no CES would be complete without a toy robot or two. This year, it was the WowWee MiP (Mobile Inverted Pendulum) that put on a big show. Basically, it is an eight-inch bot that balances itself on dual wheels (like a Segway), is controllable by hand gestures, a Bluetooth-conncted phone, or can autonomously roll around. Its sensitivity to commands and its ability to balance while zooming across the floor are super impressive. While on display, many were shown carrying a tray around (sometimes with another MiP on a tray). And, a real crowd pleaser, the MiP can even dance. Always got to throw in something for the retro 80’s crowd, the people who grew up with the SICO robot, Jinx, and other friendly automatons! But perhaps most impressive of all, at least in my humble opinion, is the display of the prototype for the iOptik AR Contact Lens. While most of the focus on high-tech eyewear has been focused on wearables like Google Glass of late, other developers have been steadily working towards display devices that are small enough to worse over your pupil. Developed by the Washington-based company Innovega with support from DARPA, the iOptik is a heads-up display built into a set of contact lenses. 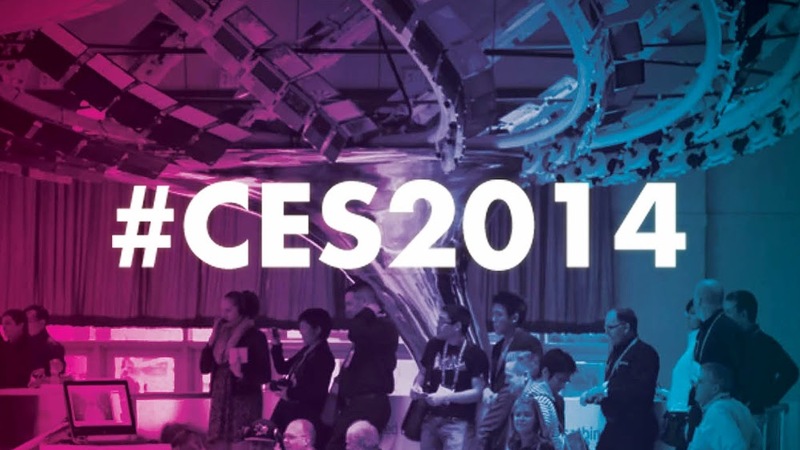 And this year, the first fully-functioning prototypes are being showcased at CES. Acting as a micro-display, the glasses project a picture onto the contact lens, which works as a filter to separate the real-world from the digital environment and then interlaces them into the one image. 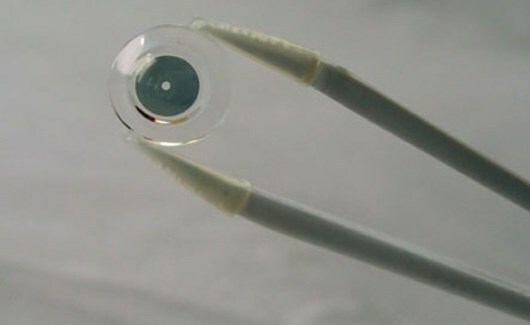 Embedded in the contact lenses are micro-components that enable the user to focus on near-eye images. 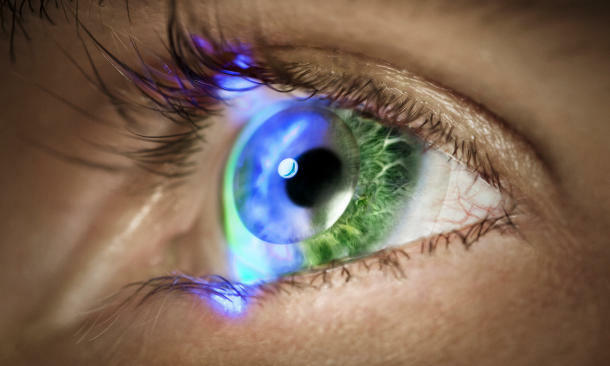 Light projected by the display (built into a set of glasses) passes through the center of the pupil and then works with the eye’s regular optics to focus the display on the retina, while light from the real-life environment reaches the retina via an outer filter. This creates two separate images on the retina which are then superimposed to create one integrated image, or augmented reality. It also offers an alternative solution to traditional near-eye displays which create the illusion of an object in the distance so as not to hinder regular vision. At present, still requires clearance from the FDA before it becomes commercially available, which may come in late 2014 or early 2015. Well, its certainly been an interesting year, once again, in the world of electronics, robotics, personal devices, and wearable technology. And it manages to capture the pace of change that is increasingly coming to characterize our lives. And according to the tech site Mashable, this year’s show was characterized by televisions with 4K pixel resolution, wearables, biometrics, the internet of personalized and data-driven things, and of course, 3-D printing and imaging. It was only a matter of time, I guess. 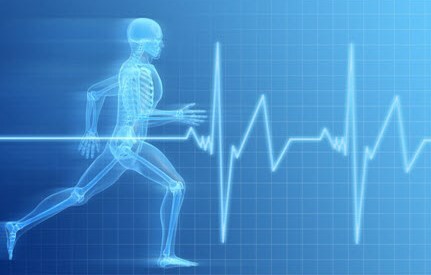 But we really should have known that with all the improvements being made in biometrics and biotechnology – giving patients and doctors the means to monitor their vitals, blood pressure, glucose levels and the like with tiny devices – and all the talk of how it looked like something out of science fiction that it wouldn’t be long before someone took it upon themselves to build a device right out of Star Trek. It’s known as a the Scanadu Scout, a non-invasive medical device that is capable of measuring your vitals simply by being held up to your temple for a mere 10 seconds. 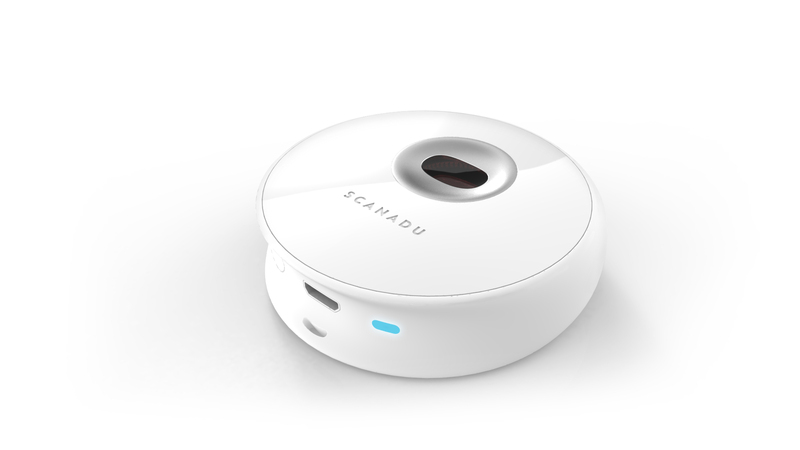 The people responsible for its creation are a startup named Scanadu, a group of research and medtech enthusiasts who are based at the NASA Ames Research Center. For the past two years, they have been seeking to create the world’s first handheld medical scanner, and with the production of the Scout, they have their prototype! All told, the device is able to track pulse transit time (to measure blood pressure), temperature, ECG, oximetry, heart rate, and the breathing rate of a patient or subject. A 10 second scan of a person’s temple yields data that has a 99% accuracy rate, which can then be transmitted automatically via Bluetooth to the user’s smartphone, tablet or mobile device. The device has since been upgraded from its original version and runs at a rate of 32 bits (up from the original 8). And interestingly enough, the Scouts now runs on Micrium, the operation system that NASA uses for Mars sample analysis on the Curiosity rover. The upgrade became necessary when Scanadu co-founder Walter De Brouwer, decided to add an extra feature: the ability to remotely trigger new algorithms and plug in new sensors (like a spectrometer). If we find new algorithms to find relationships between several readings, we can use more of the sensors than we would first activate. If you know a couple of the variables, you could statistically predict that something is going to happen. The more data we have, the more we can also predict, because we’re using data mining at the same time as statistics. One of the Scout’s cornerstone algorithms, for example, allows it to read blood pressure without the inflating cuff that we’ve all come to know and find so uncomfortable. In the future, Scanadu could discover an algorithm that connects, age, weight, blood pressure, and heart rate with some other variable, and then be able to make recommendations. It’s going to be a consumer product in the future, but right now we are positioning it as a research tool so that it can be used to finalize the design and collect data to eventually gain regulatory approval. In the end, you have to prove how people are going to use the device, how many times a day, and how they are going to react to the information. In the future, De Brouwer imagines this kind of shared information could be used for population scanning, kind of like Google Flu Trends does, except with data being provided directly from individuals. The focus will also be much more local, with people using the Scout’s stats to able to see if their child, who suddenly has flu symptoms, is alone of ir other kids at their school are also sick. Pandemics and the outbreaks of fatal diseases could also be tracked in the same way and people forewarned. Naturally, this raises some additional questions. 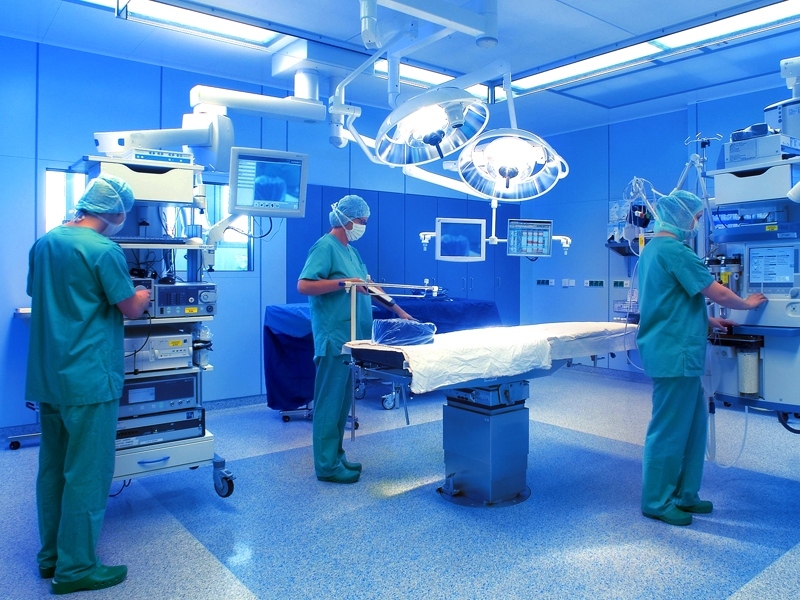 With it now possible to share and communicate medical information so easily between devices, from people to their doctors, and stored within databases of varying accessibility, there is the ongoing issue of privacy. If in fact medical information can be actively shared in real-time or with the touch of a button, how hard will it be for third parties to gain access to them? The upsides are clear: a society where health information is easily accessible is likely to avoid outbreaks of infectious disease and be able to contain pandemics with greater ease. But on the flip side, hackers are likely to find ways to access and abuse this information, since it will be in a public place where people can get at it. And naturally, there are plenty of people who will feel squeamish or downright terrified about the FDA having access to up-to-the-moment medical info on them. It’s the age of cloud computing, wireless communications, and information sharing my friends. 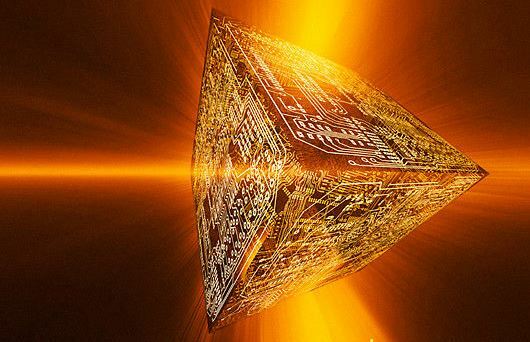 And much as people feel guarded about their personal information now, this is likely to take on extra dimensions when their personal medical info is added to the mix. Not a simple or comfortable subject. Big News in Quantum Computing! One important step happened earlier this month with the installment of the D-Wave Two over at the Quantum Artificial Intelligence Lab (QAIL) at the Ames Research Center in Silicon Valley, NASA has announced that this is precisely what they intend to pursue. Not surprisingly, the ARC is only the second lab in the world to have a quantum computer. 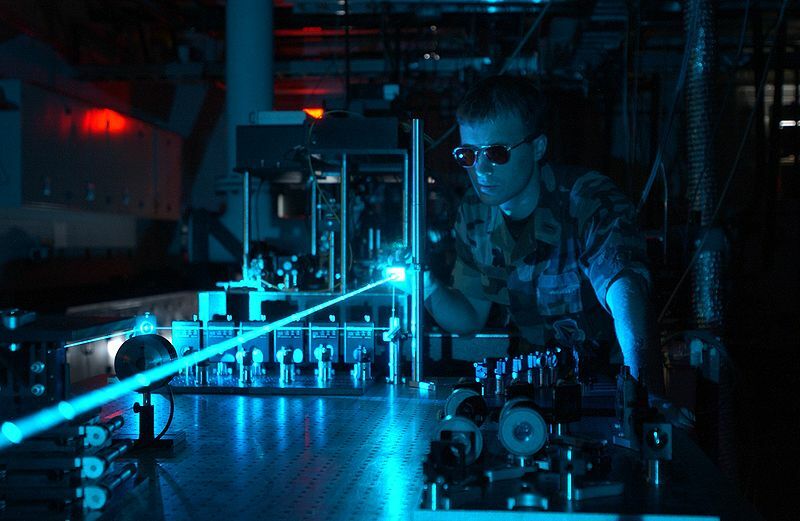 The only other lab to possess the 512-qubit, cryogenically cooled machine is the defense contractor Lockheed Martin, which upgraded to a D-Wave Two in 2011. And while there are still some who question the categorization of the a D-Wave Two as a true quantum computer, most critics have acquiesced since many of its components function in accordance with the basic principle. 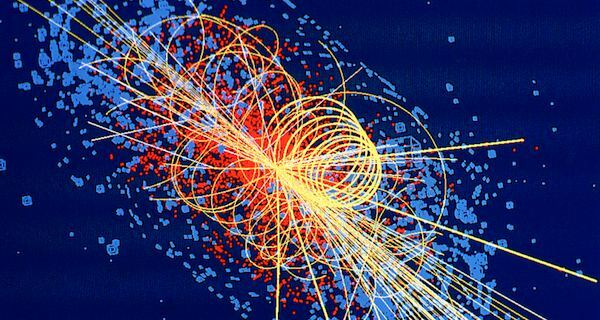 And NASA, Google, and the people at the Universities Space Research Association (USRA) even ran some tests to confirm that the quantum computer offered a speed boost over conventional supercomputers — and it passed. 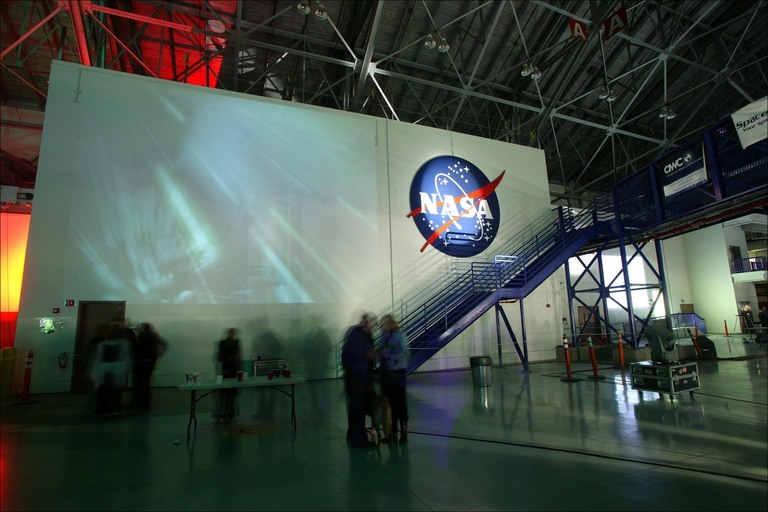 The new lab, which will be situated at NASA’s Advanced Supercomputing Facility at the Ames Research Center, will be operated by NASA, Google, and the USRA. 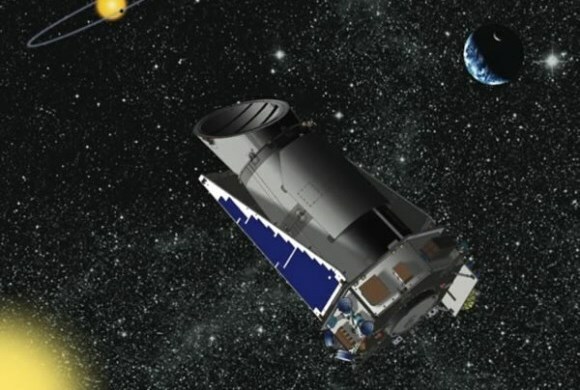 NASA and Google will each get 40% of the system’s computing time, with the remaining 20% being divvied up by the USRA to researchers at various American universities. NASA and Google will primarily use the quantum computer to advance a branch of artificial intelligence called machine learning, which is tasked with developing algorithms that optimize themselves with experience. 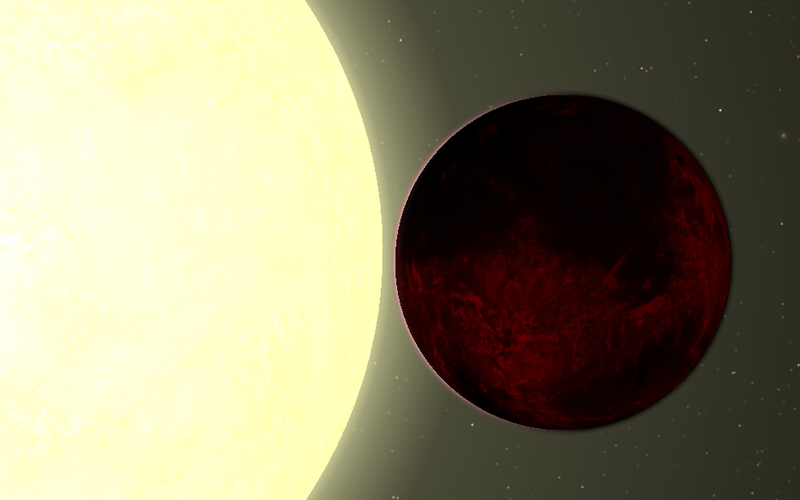 As for what specific machine learning tasks NASA and Google actually have in mind, we can only guess. 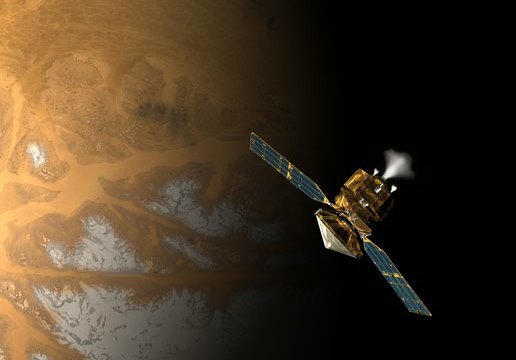 But it’s a fair bet that NASA will be interested in optimizing flight paths to other planets, or devising a safer/better/faster landing procedure for the next Mars rover. As for Google, the smart money says they will be using their time to develop complex AI algorithms for their self-driving cars, as well optimizing their search engines, and Google+. 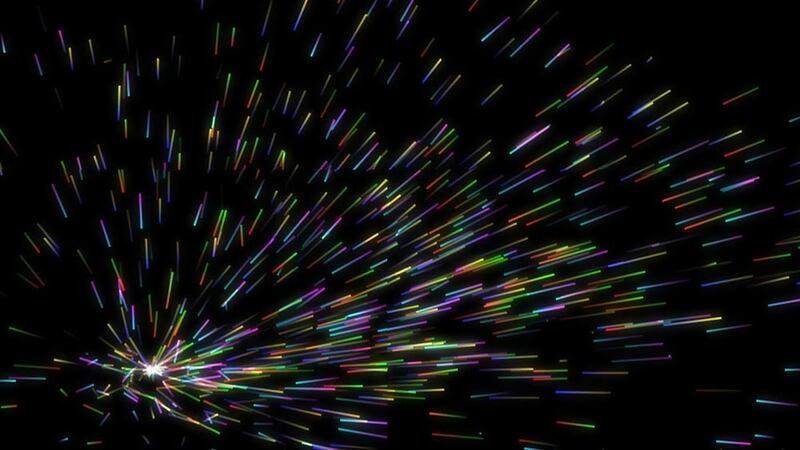 Another important step took place back in March, when researchers at Yale University announced that they had developed a new way to change the quantum state of photons, the elementary particles researchers hope to use for quantum memory. This is good news, because it effectively demonstrated that true quantum computing – the kind that utilizes qubits for all of its processes – has continually eluded scientists and researchers in recent years. To break it down, today’s computers are restricted in that they store information as bits – where each bit holds either a “1″ or a “0.” But a quantum computer is built around qubits (quantum bits) that can store a 1, a 0 or any combination of both at the same time. And while the qubits would make up the equivalent of a processor in a quantum computer, some sort of quantum Random Access Memory (RAM) is also needed. Gerhard Kirchmair, one of Yale researchers, explained in a recent interview with Nature magazine that photons are a good choice for this because they can retain a quantum state for a long time over a long distance. But you’ll want to change the quantum information stored in the photons from time to time. What the Yale team has developed is essentially a way to temporarily make the photons used for memory “writeable,” and then switch them back into a more stable state. To do this, Kirchmair and his associates took advantage of what’s known as a “Kerr medium”, a law that states how certain mediums will refract light in a different ways depending on the amount shined on it. This is different from normal material materials that refract light and any other form of electromagnetic field the same regardless of how much they are exposed to. Thus, by exposing photons to a microwave field in a Kerr medium, they were able to manipulate the quantum states of photons, making them the perfect means for quantum memory storage. At the same time, they knew that storing these memory photons in a Kerr medium would prove unstable, so they added a vacuum filled aluminum resonator to act as a coupler. When the resonator is decoupled, the photons are stable. When resonator is coupled, the photons are “writeable”, allowing a user to input information and store it effectively. This is not the first or only instance of researchers finding ways to toy with the state of photons, but it is currently the most stable and effective. 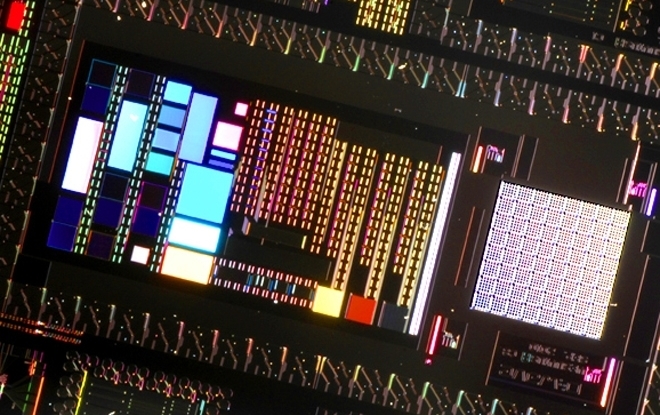 And coupled with other efforts, such as the development of photonic transistors and other such components, or new ways to create photons seemingly out of thin air, we could be just a few years away from the first full and bona fide quantum processor! Millionaire and space enthusiast Dennis Tito surprised the world with his announcement that he plans to fund a couple’s expedition to Mars. Apparently, the trip is planned to take place in 2018 during a conjunction of our planet with Mars, will take 501 days, and will involve sending a married couple in a capsule roughly the size of a Winnebago. 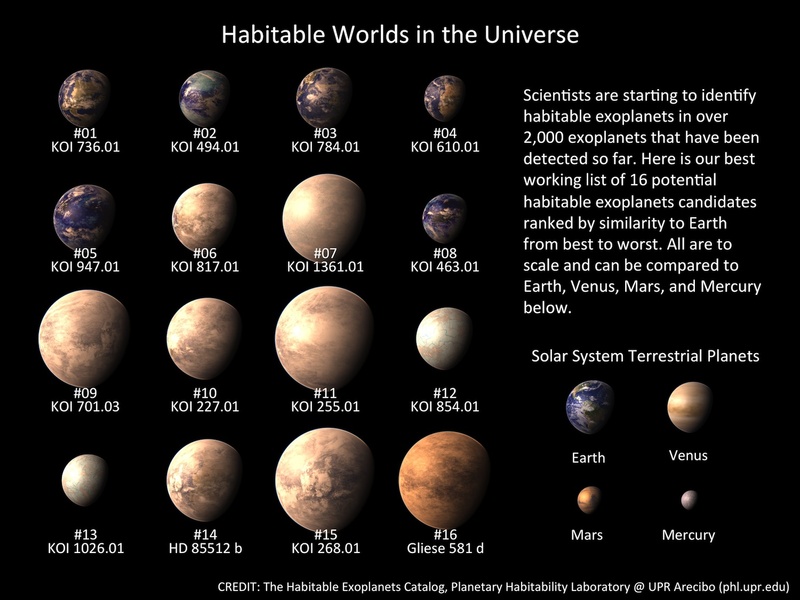 But as time goes on, more news is trickling out of the “Inspiration Mars” program, and some of it is raising eyebrows. For example, there’s the news that the Mars capsule will involve a rather interesting form of radiation shielding… made of feces. You read that right, the capsule will contain shielding composed of human feces (among other things) that will shield the couple inside from harmful cosmic radiation. But before people begin visualizing some ugly, creepy concoction, let me assure them that this concept is not as unusual as it sounds. When it comes right down to it, this is the greatest health threat the people who go will face, followed shortly thereafter by muscle atrophy, boredom and cramped conditions. 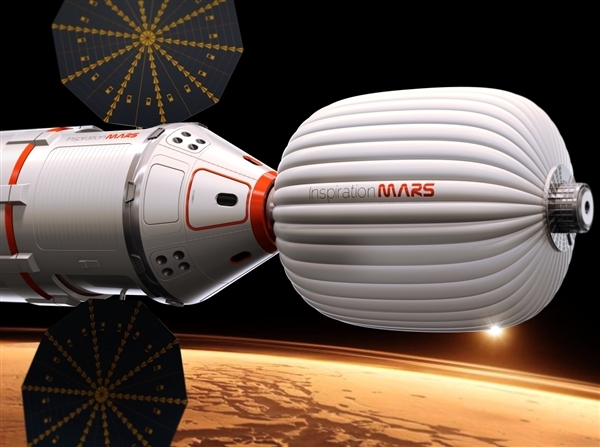 And rather than line the capsule with expensive and heavy metals, such as lead, the engineers designing the Inspiration Mars capsule thought they might kill two birds with one stone. 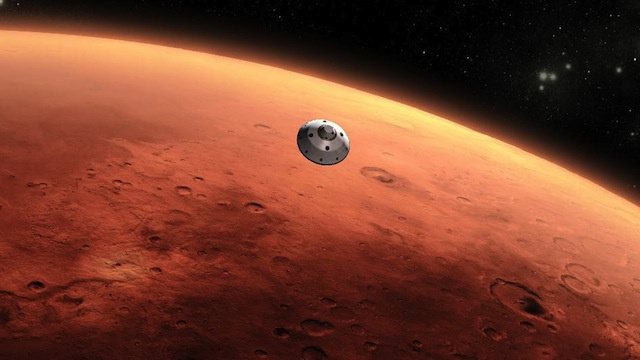 According to Taber MacCallum, co-founder and CEO of the Paragon Space Development Corporation and member of the Inspiration Mars team, explained that the idea had to do with waste recycling and storage. Since the couple will be eating, drinking and defecating within the capsule for a full 501 days, the waste has to go somewhere. It’s a little queasy sounding, but there’s no place for that material to go, and it makes great radiation shielding… Dehydrate them as much as possible, because we need to get the water back. Those solid waste products get put into a bag, put right back against the wall. But to be fair, this proposal is not exactly new. In fact, the idea was mentioned back in 2011 by Michael Flynn, a life support engineer at NASA Ames Research Center, who proposed using urine and feces to shield space stations. Packing for Mars author Mary Roach The Geek’s Guide to the Galaxyalso mentioned it in a 2011 edition of The Geek’s Guide to the Galaxy. NASA’s Innovative Advanced Concepts program is also working out the nuts and bolts of this concept under the name of “Water Walls Architecture”. 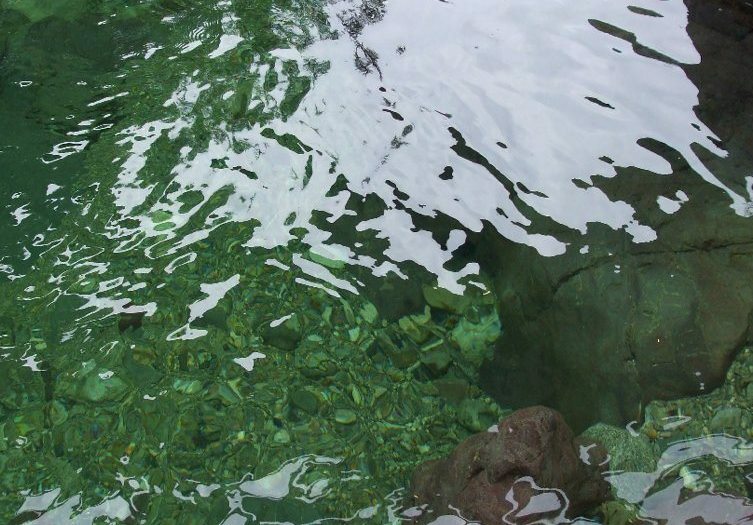 Water, MacCallum explained, is the key ingredient here, since it serves as a better radiation shield than metal. It’s the nuclei of atoms that block the radiation you see, and water contains more atoms (and therefore more nuclei) per volume than metal does. Food and waste also provide good radiation shielding, and because the food blocks rather than absorbs the radiation, it will remain safe to eat. Naturally, McCallum was sure to note that they are still working out some of the logistical problems. For one, they still need to figure out how best to keep the Mars-bound couple from experiencing too many nasty sights and smells on their journey. Gotta admit, this isn’t something you think about when you hear the word “space travel” do you? But then again, you have to account for things like this. 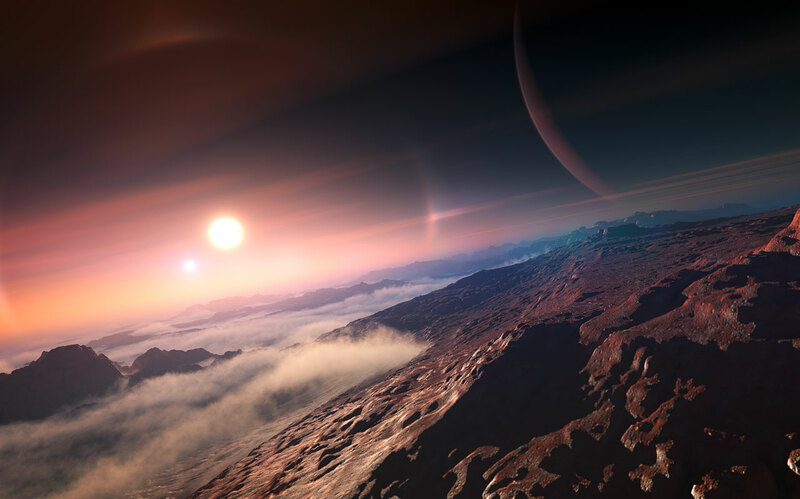 Until people can survive without consuming food and water, and expelling waste, long-term space missions will have to figure out what to do about all the dirty, ugly business people get into!